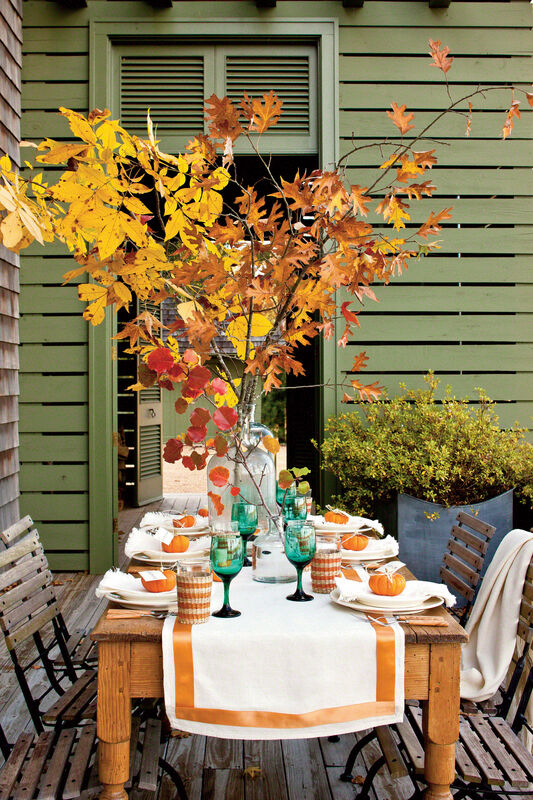 Decorating Editor Lindsey Ellis Beatty shares her easy and affordable ideas for hosting a stylish autumn get-together. Fill an oversize jug with branches of leaves cut from the yard for a free centerpiece. 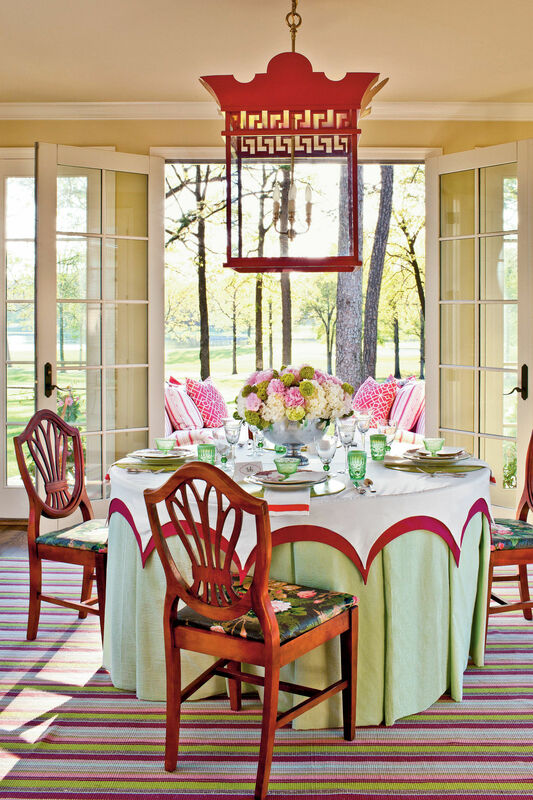 A neutral backdrop of white linens and dishes puts the focus on punches of orange and green. Lindsey found these green goblets at a Goodwill store for just 25 cents each. Served in a glass mug wrapped with twine and garnished with a cinnamon stick, this warm, spicy beverage provides a cozy pick-me-up on a chilly fall evening. Aspect of the party planning that's too often overlooked? A well-appointed powder room. Don't forget to set out fragrant hand soaps and disposable towels. No table is complete without... Salt and pepper - I always incorporate pretty little salt and pepper cellars when I set the table. Mail Invites? For a brunch or cocktail party, defenitely yes. But if it's a casual football gathering, a phone call or e-mail is perfectly fine. Last-minute tips? Turn on music, adjust the lighting, and (I add this because I have small children) do a toy sweep to make sure guests don't trip over Buzz Lightyear. You know a party is a success when... Everyone stays late and there's a big, beautiful mess at the end.